It seems pretty common that flock parents struggle with budgie morning noise. Typically it’s a pure joy to hear the flock trilling away, but at the break of dawn after a late night is another thing entirely! Weirdly, even with the addition of the fantastic singing Kevin to the flock, our mornings are still quiet until at least 8am, if not later. I think that we’re creating a situation that’s conducive to everyone sleeping until a reasonable hour in a couple of ways. 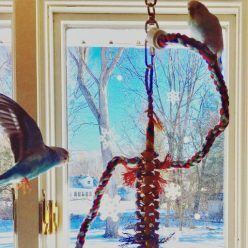 The parakeets’ cage is not in our bedroom. I don’t recommend placing cages in bedrooms for several reasons, one of which is preserving the quality of your sleep. I bet it’s pretty hard to convince an eager parakeet they should sleep a couple more hours if they see you get up to use the bathroom at 6 in the morning. Keeping cages separate from human sleeping quarters buys you a bit of time before they are aware you’re stirring. We don’t use a Cage Cover , but all of the windows in the bird zone of the house have Blackout Curtains . Not only do the curtains block almost 100% of the light coming in, but they also help us block drafts. I totally recommend using Blackout Curtains , wherever your birds are. This reminds me that I only have blinds in the room we are moving the birds to, and I really need to get on the ball! These are the only things I can think of that we do to impact the flock and their likelihood of singing in the early morning hours. So far I don’t think we’ve had a single weekend morning where we’ve been woken up by a pack of singing lunatics. Just this morning I woke Toby up at 8:30am. I’d love to hear some other tips for keeping mornings calm and sleepy! Or does everyone else like being woken up at the crack of dawn on the weekends and I’m just a lazy bones with equally lazy budgies? Growing up my family had a house full of parrots so we all turned on box fans at night to drown out the morning ruckus. Even to this day I still have a terrible time sleeping without a fan! That’s funny! We have air purifiers that produce quite a bit of white noise, but I don’t think it would be enough to drown out flock calls unless they were on max! 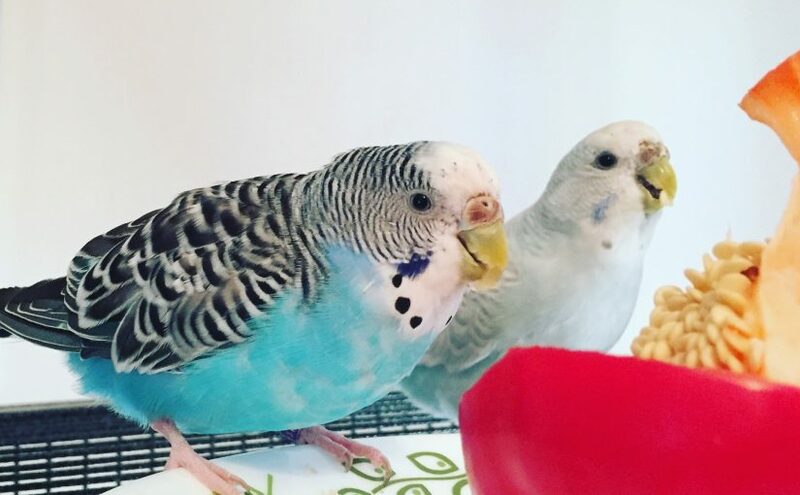 Previous Previous post: New flock order – there will be singing budgies!